Vblank Entertainment is producing a sequel to their hit indie retro-themed title, Retro City Rampage. 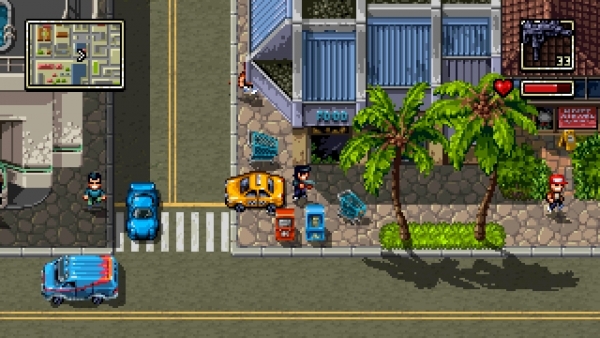 Set 30 years after the first game, Shakedown Hawaii takes the series into 16-bit and follows the protagonist of Retro City Rampage as he rebuilds his empire. Shakedown Hawaii will feature the same open world top-down gameplay as the original. Although a release date hasn't been set, gamers will get a chance to play Shakedown Hawaii for the first time December 5-6 at PlayStation Experience in San Francisco.